U.S. Immigration and Customs Enforcement agents arrested 97 people after raiding a Tennessee meat processing plant, in what civil rights activists say was the largest crackdown at a single place in almost a decade. She said they were all arrested on suspicion of being in the country illegally. 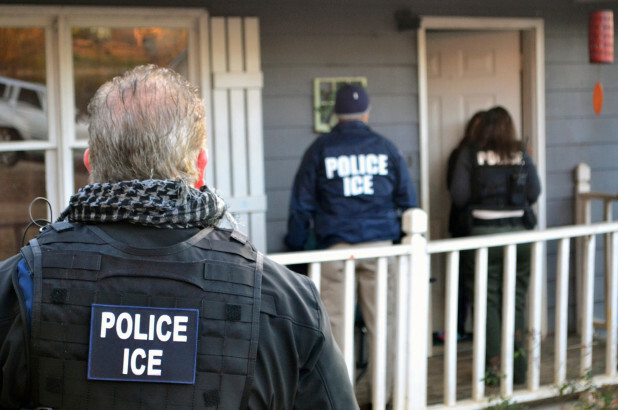 The National Immigration Law Center said it believes this was the largest single-workplace raid since George W. Bush was president, the Washington Post reported. Federal immigration officials did not confirm if it was the largest. This was the latest crackdown on illegal immigrants by the Trump administration after he announced last year that ICE agents would be targeting employers that choose to hire immigrants knowing they are illegal. A total of 21 people were arrested after immigration agents raided 7-11 stores nationwide in January.